The Capricorn man and Capricorn woman’s relationship is all business, right from the start. This is as you might expect from this same sign relationship, but can this couple find the magic of romance, or is it just a practical partnership? In common with most other relationships between people the same sign, Capricorn man Capricorn woman compatibility gets off to a good start, because the couple truly understand one another. The are both practical, hard working people, with strong ambitions and level heads. They respect each other’s work ethics, and they’re aiming undoubtedly for the same thing – a materially successful marriage, with all the modern trappings of success. And happiness, of course, although you do get the impression sometimes with Capricorn that it’s not at the top of the list. In many ways, this is the archetypal career couple. The Capricorn man works hard at his career, and the Capricorn woman is also ambitious and will not settle easily for a stay at home role. Although he’s a highly traditional kind of guy, the Capricorn man respects this in his Capricorn woman – indeed, this relationship is born from a strong foundation of mutual respect and trust. 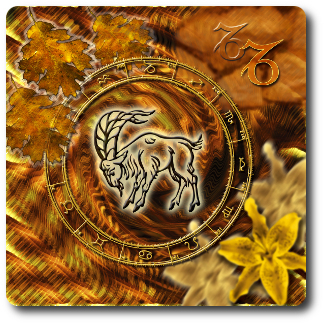 Where Capricorn man Capricorn woman compatibility may let itself down, however, is with a lack of emotional depth. Capricorn is an earth sign, and out of all of the earth signs, it’s the one which has its emotions most closely under control. Both the Capricorn man and the Capricorn woman are slightly emotionally aloof and cool, and neither lets their true feelings get the better of them. That’s great in business, and when a cool head is needed – but not so great when you’re head over heels in love but find it hard to show it. For Capricorn man Capricorn woman compatibility, saying the words seems to be one of the hardest things. It’s not that there is a lack of passion; sexually this couple is quite compatible as they are both slow burning, sensual lovers, with a lot of tact and patience. This same patience, however, can be their undoing outside the bedroom, as each will wait indefinitely for the other’s behavior to change…which it never does. When this relationship works well, it can be a tender and enduring match, and a highly faithful one too. More often than not, however, romance gets pushed to the sidelines in Capricorn man Capricorn woman compatibility, as more material concerns are highlighted by both partners. If this couple isn’t careful, they will find themselves drifting apart over the years as they just pass each other briefly on their way out to work. Their shared commitment to stability is laudable, but in the end, what’s it all for? If they reach retirement age and suddenly discover that they have nothing left, Capricorn man Capricorn woman compatibility will have been a complete waste, despite the couple’s well intentioned efforts to provide for each other. Without regular injections of fun and quality time together, this couple’s relationship sadly could turn out to be all business after all.